Is there a scent buried deep in your mind? 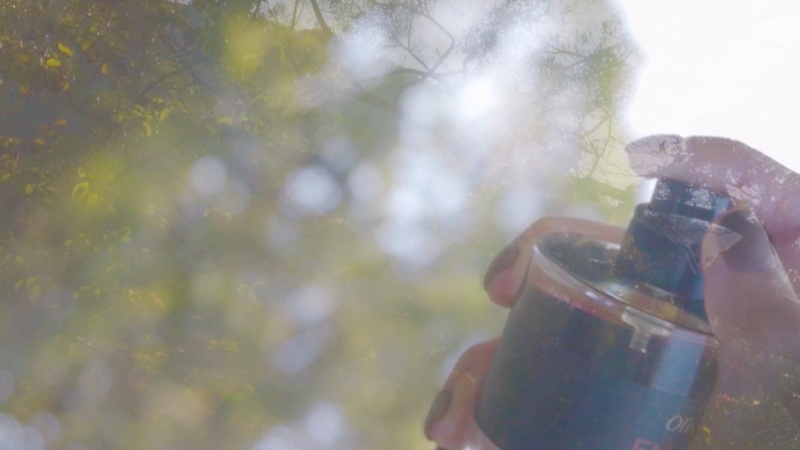 Certain smells sublimate into treasured engrams: whenever we come across that scent again, it will take us down memory lane, awakening every detail of our dormant reminiscences, as if we were living it all over again…Every scent is unique, carrying specific feelings and stories for each and every one of us, just like memory itself. The same smell can provoke different emotions in us. A sniff redolent in floral and herbal tones can be very sentimental - of whom would it remind you? 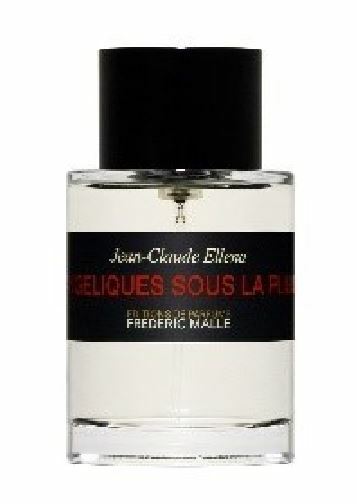 Created by renowned perfumer Jean-Claude Ellena, this perfume was inspired by a harvest. Ellena collected angelicas after the rain and put them in her pocket. Their spicy yet gentle aroma inspired Ellena to mix them with a hint of juniper berries and jasmine, mellowing the spiciness of angelicas with the sweetness of the others. 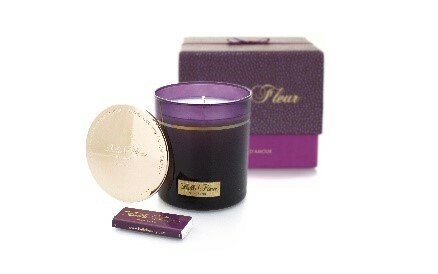 The base notes unfold in mesmerising musk and cedar, subtle yet unconventional, like a sip of fine Champagne. 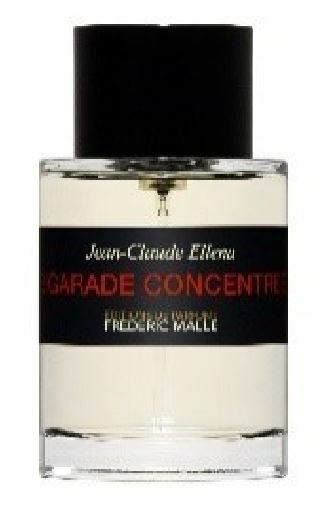 Another Jean-Claude Ellena creation, this Eau de Cologne is based on the fresh vitality of the bitter orange essence married with other citrus tones. This fragrance is bright and vivid with its citrus tones, yet softens and warms as its base notes of light rose, cedar wood and hay shine through. It expresses an ultimate freshness that captures the iconic style of Jean-Claude Ellena, but with a soft, graceful twist. The Rue des Groseilliers is the street where perfumer Francis Kurkdjian grew up, about twelve miles from Paris. His family home was bordered by a small vegetable garden where bright red berries delighted both young and old with their sweet savour. 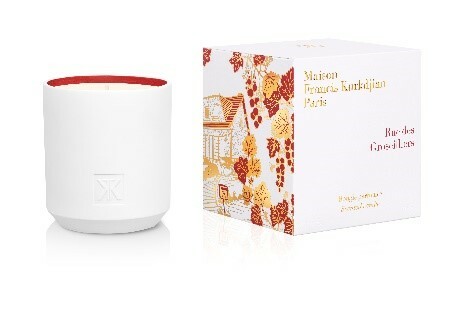 Today these flavours unfold in this scented candle that conveys the essence of Kurkdjian’s childhood memories. A radiant and enlivening fragrance inspired by the ethereal nature of the Garden of Eden, capturing the sublime nuances of assorted blossoms with the sensuality of luscious fruit. With a French bergamot accord along with blackcurrant, green apple and fig, accompanying Bulgarian rose absolute and jasmine, this perfume combines truly fruity floral notes with the silkiness of sandalwood to take you beyond the here and now.